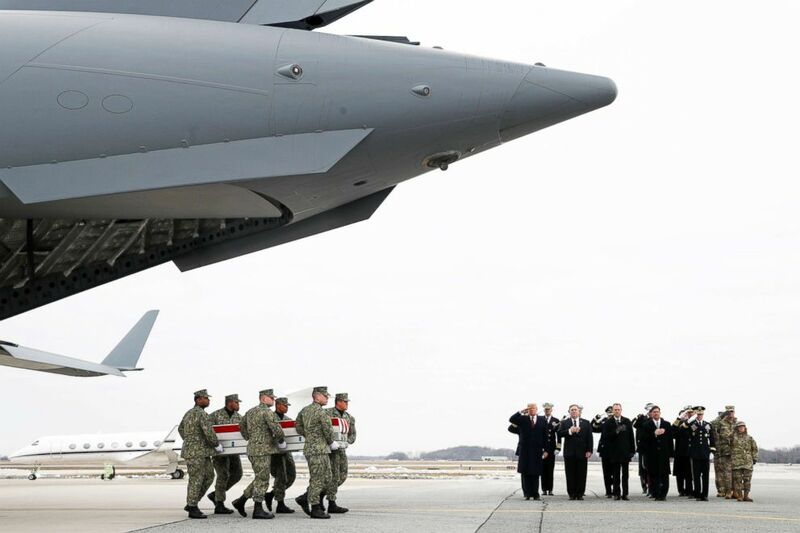 After spending time with the victims' families, the president participated in the dignified transfer ceremony of Scott Wirtz, a contractor who was killed in the deadly bomb blast. 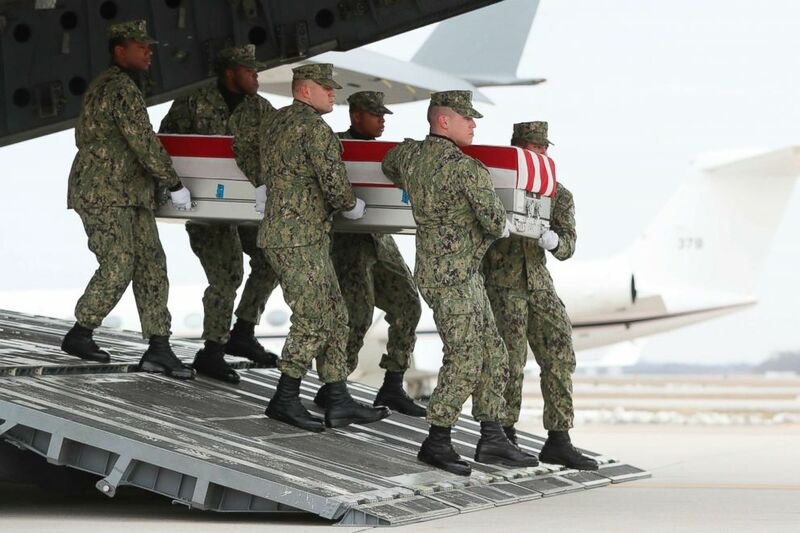 The president told reporters on the White House South Lawn before departing for Dover that meeting with the family members of fallen soldiers is one of the "toughest things I have to do as president." "I think it is the toughest thing I have to do. 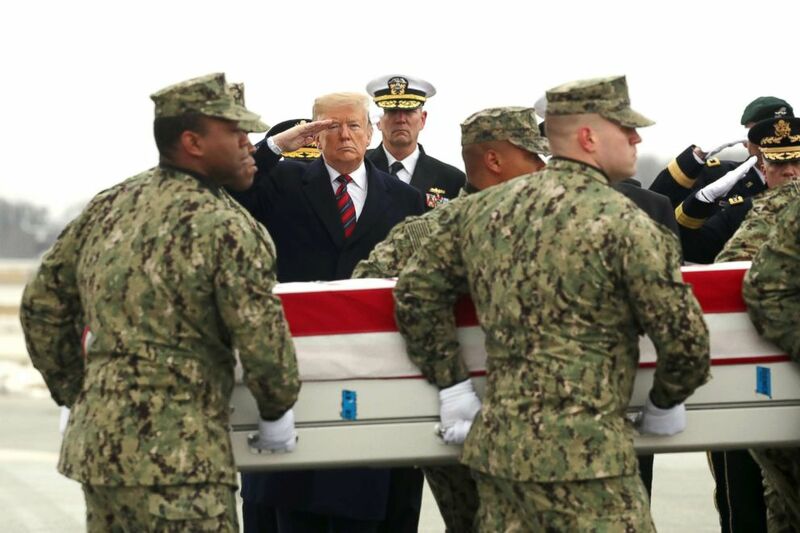 When I'm going to meet relatives of some of our great, great heroes that have fallen, I think it might be the toughest thing I have to do as president," Trump said. Wednesday's attack in Manbij was the deadliest for the U.S. military since troops went into Syria. "We've been hitting ISIS hard over the last three weeks," he said outside the White House Saturday morning. "It's been moving along very well. When I took over, it was a total mess." "At some point, you want to bring our people back home," he said of troops in Syria. 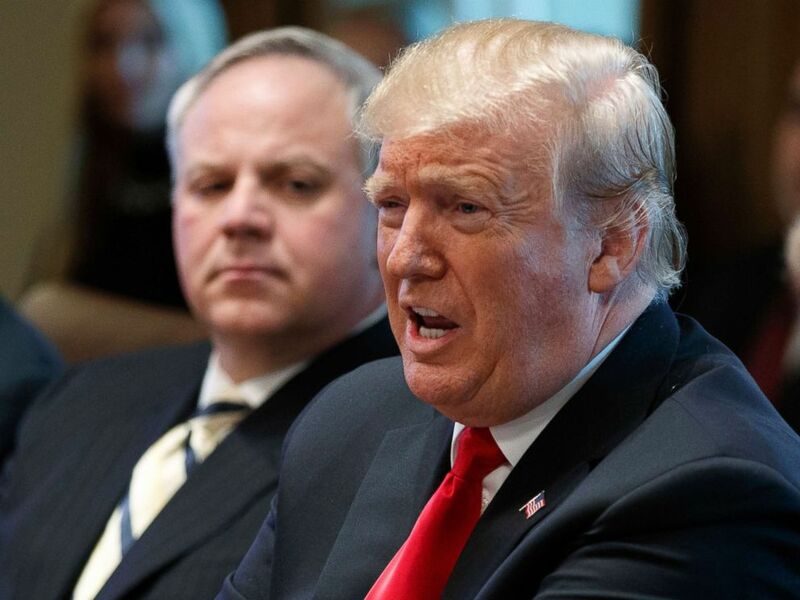 "I want to take a moment to express my deepest condolences to the families of the brave American heroes who laid down their lives yesterday in selfless service to our nation," Trump said. "We never forget their noble and immortal sacrifice," he added.